The X-37 and X-40 research efforts were originally started (by NASA and U.S. Air Force, respectively) as completely separate and unrelated programs. However, both programs have since been merged into a single one. Therefore they are both discussed on this page. In October 1996, Boeing received a contract from the U.S. Air Force Research Laboratory's Military Space Plane Technology office to build a technology demonstrator and test vehicle for a Space Maneuver Vehcile (SMV). The SMV was defined as an unmanned reusable spacecraft, which could be launched into orbit on the Space Shuttle or an expendable booster, spend up to a year maneuvering in orbit, and then return with a fully automatic gliding reentry for a horizontal landing on a predesignated runway. Tasks of the SMV would include delivery of small payloads to orbit, remote examination of satellites, and orbital reconnaissance. The first vehicle built under the SMV program was the ITTB (Integrated Technology Test Bed), a 90% scale unpowered version of the SMV. 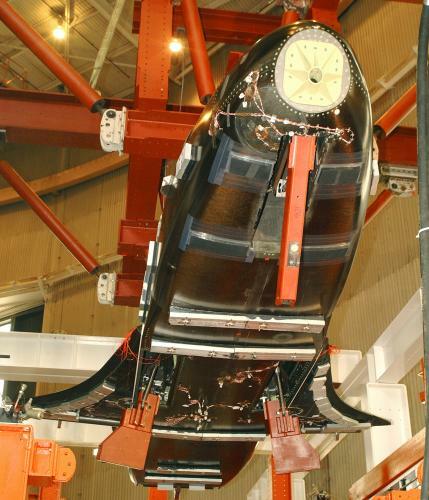 The ITTB was designed to test the final low-speed approach and landing phase of the return from space. In 1997, the designation X-40A was allocated to the SMV, but that designator was soon reassigned to the ITTB. After thorough static testing, the X-40A first flew on 11 August 1998. The vehicle was dropped at 2740 m (9000 ft) from a cradle below a UH-60 helicopter, and successfully flew to an automatic landing on a designated runway at Holloman AFB. The X-40A is essentially a winged lifting body with a V-tail. It is equipped with a tricycle landing gear and a GPS/INS precision navigation system. 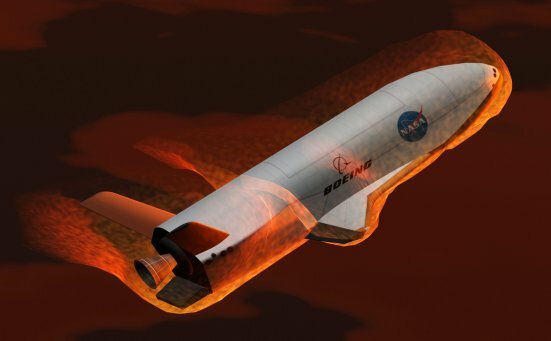 The full-scale SMV, designated X-40B, would have added a liquid-propellant rocket propulsion system, a reusable thermal protection system, a dorsal payload bay and other systems necessary for operations in space. Not long after the first, and at that time only, flight of the X-40A, the USAF decided to give the X-40A to NASA for use as a scaled low-speed test bed for the X-37 program (q.v. below for information on the use of the X-40A by NASA). Nothing has come forward on the planned X-40B SMV, and it is assumed that this part of the program has been terminated and absorbed by the X-37A. In 1996, NASA first mentioned plans for a research effort labeled Future-X. This was to comprise a variety of flight test articles to evaluate selected RLV (Reusable Launch Vehicle) technologies in addition to the full-scale X-33 and X-34 programs. The long term plan was that several relatively low-cost "Pathfinder" vehicles, which would each be focused on a certain RLV aspect, would be followed by more ambitious "Trailblazer" demonstrations of RLVs integrating technologies tested by "Pathfinder" missions. By late 1996, the NASA had reserved the X-37 designator for the Future-X program even though no specific vehicle development had been initiated at that time. To implement the Future-X "Pathfinder" goals, NASA received submissions from Lockheed Martin and Boeing. 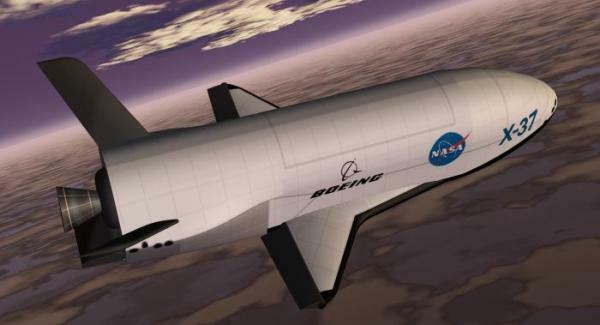 Boeing's proposal was to build a spacecraft based on its X-40/SMV design for the U.S. Air Force. This was accepted by NASA in December 1998, and in July 1999 a contract was signed for construction of one X-37A vehicle. The X-37A airframe is essentially the X-40A scaled up to about 120%. In addition to the X-40A's features, the X-37A is fully equipped for space flight, having a rocket engine for orbital maneuvers, an advanced reusable thermal protection system, a payload bay and a navigation/flight-control system for orbital and atmospheric flight. As such, the X-37A is to all intents and purposes identical to the USAF's planned X-40B SMV. In early 2000, the Air Force agreed to participate in the X-37 program, and the X-40A was transferred to NASA to serve as a testbed for the X-37A's approach and landing phase. For this purpose, the X-40A was modified with a Space Integrated GPS/INS (SIGI) system, a Calculated Air Data System (CADS) and modified instrumentation and telemetry equipment. For the NASA trials, the X-40A was carried aloft to 4500 m (15000 ft) beneath a CH-47D helicopter. Between 4 April and 19 May 2001, the vehicle successfully conducted seven free flights. The original schedule called for orbital X-37 flights as early as 2002. The X-37A was to be carried into space inside the Space Shuttle cargo bay (which dictated the maximum possible wing span), and released for automatic landings. However, in 2001 the USAF pulled out of the project, and the ensuing funding difficulties inevitably led to delays. But in 2002 the X-37 contract was amended to cover two instead of only one vehicle, one for the atmospheric drop tests (dubbed Approach and Landing Test Vehicle, ALTV) and one for orbital tests. At that time, the atmospheric tests were scheduled for late 2004, while the first orbital flight (launched by an expendable booster) was tentatively planned for 2006. However, in late 2003 NASA told Boeing to reduce workload on the orbital vehicle, and still later that part of the program was completely put on hold. In early 2004, NASA stated that the X-37 no longer fitted its long term agenda, and in September that year, control of the X-37A program was transferred to the DOD's Defense Advanced Research Projects Agency (DARPA). The X-37A's carrier aircraft for atmospheric drop tests is the Scaled Composites "White Knight" aircraft (carrier of the "SpaceShip One" X-Prize vehicle). Preparation of test flights began in early 2005, and included several captive flights of the ALTV under the "White Knight". On 7 April 2006, the X-37A finally made its first free glide flight. The flight itself was successful, but the vehicle ran off the runway after touchdown, damaging the nose landing gear. The second flight occurred on 18 August, and the third and final one on 26 September. X-37A (ALTV) under "White Knight"
In November 2006, the U.S. Air Force announced that it is going to continue the development of an orbital X-37 variant. 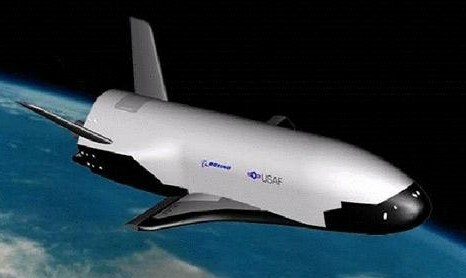 This will be known as the X-37B OTV (Orbital Test Vehicle). According to the official USAF statement, the OTV's objectives will be "risk reduction, experimentation, and operational concept development for reusable space vehicle technologies, in support of long-term developmental space objectives." The first flight of the X-37B, to be launched on top of an Atlas V booster, was originally scheduled for late 2008, but has been postponed serveral times. At the time of this writing, it is planned for April 2010. The mission will test the vehicle's navigation, guidance and control systems, as well as the autonomous reentry and landing sequence.